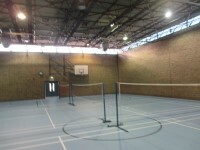 Services / facilities within the building include a fitness suite and court area. 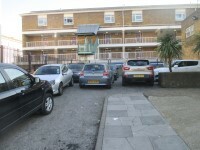 The nearest National Rail station is Loughborough Junction. You are on Level Change (Ground Floor). Skip to the next section. 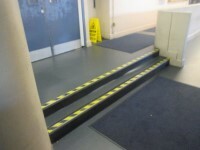 The ramp or slope is located in front of you on entrance. 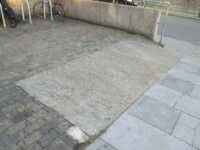 The width of the ramp or slope is 116cm (3ft 10in). The step(s) is / are located to your left when you aproach the ramp. The ramp is divided in two. 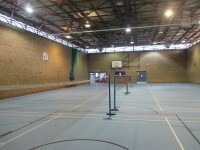 The first half with the handrail leads to the gym, the second leads to the toilets and ground floor changing room. 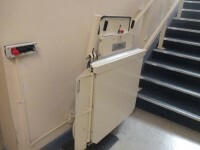 The stairs lead to the changing rooms and toilets. Music is played in the fitness suite. 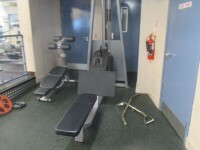 The fitness suite is located in front of you on entrance at the top of the ramp. 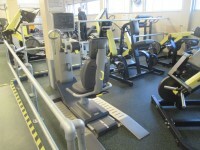 The fitness suite is 10m (10yd 2ft) from the main entrance. 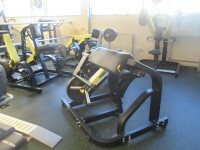 For example: upper body ergometer. 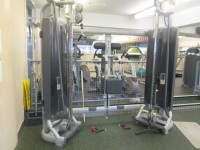 You are on Level Change (Gym Upper Level). Skip to the next section. 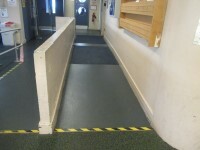 The step(s) is / are located to the left of the fitness suite. 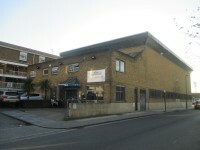 The lift is located to the rear of the building. The dimensions of the lift are 77cm x 80cm (2ft 6in x 2ft 7in). 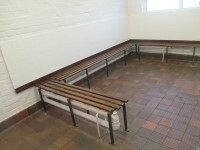 The standard changing room is 24m (26yd 9in) from the main entrance. 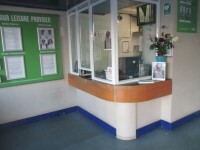 The standard changing room is 24m (26yd 9in) from the reception desk. 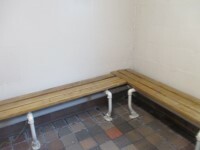 The standard changing room is 10m (10yd 2ft) from the fitness suite. 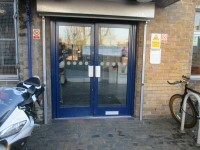 The standard changing rooms are located to your left on entrance. There is one male and one female changing room on the ground floor. On the first floor there are two male changing rooms. 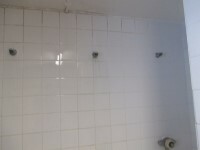 These have one deep step to access the showers. 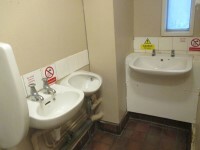 The accessible toilet is 24m (26yd 9in) from the main entrance. The accessible toilet is located to your left on entrance. The key can be obtained from manager's office. 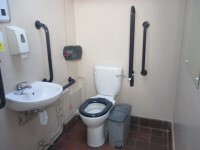 The dimensions of the accessible toilet are 152cm x 182cm (4ft 12in x 5ft 12in). The hand dryer is 119cm (3ft 11in) high. The toilet roll holder is 108cm (3ft 7in) high. 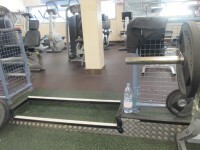 There is an additional accessible toilet located to the rear of the gym on the ground floor. 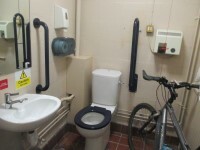 The accessible toilet is 3m (3yd 10in) from the lift. 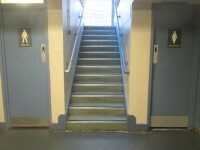 The accessible toilet is located to your right as you reach the first floor. 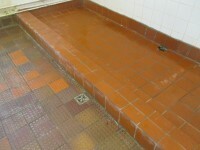 The dimensions of the accessible toilet are 137cm x 175cm (4ft 6in x 5ft 9in). The hand dryer is 123cm (4ft) high. The female and male toilets are located to your left on entrance. 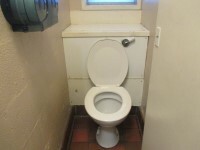 The female and male toilets are 27m (29yd 1ft) from the main entrance. 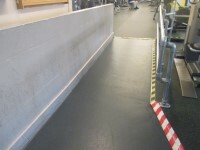 There are additional standard toilets to the rear of the gym area and to the right at the top of the lift on the first floor.